On this personalized VIP tour, visitors will have the opportunity to witness first-hand our unique Florida ecosystem and the solitary beauty of tropical hardwood hammocks, cypress domes, plants, and wildlife in their natural habitats. You will spend your 45 minute tour immersed in natural Florida beauty. Please call for larger groups. 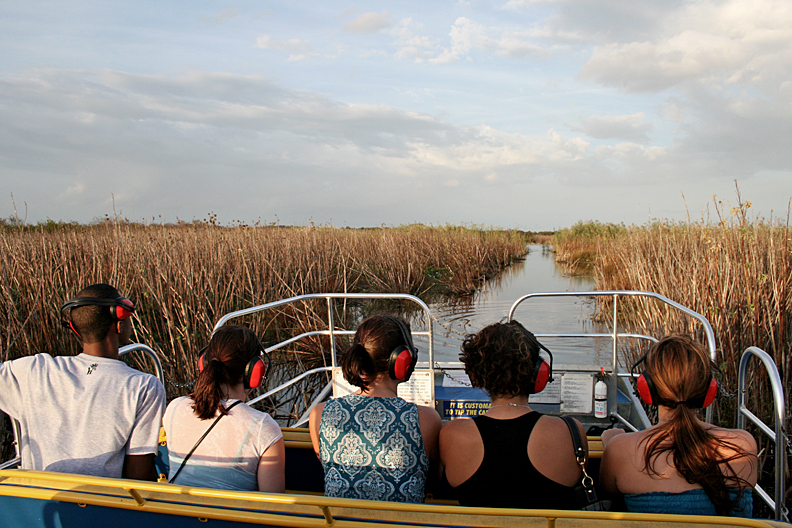 Receive a 10% discount at Black Hammock restaurant upon presentation of your airboat ticket stub. Dress light, wear sunblock, sunglasses and bring comfortable shoes. Wear layered clothing to ensure comfort. We require all children under the age of 11 to bring and wear their own eye protection. This can be glasses, sunglasses, goggles, etc. We offer eye protection for sale in our gift shop if you do not own your own.